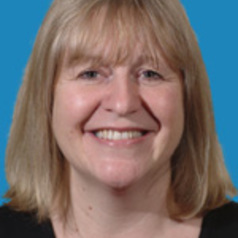 Jo is Professor of Microbiology and Head of School of Research, Enterprise and Innovation in the Faculty of Science and Engineering at Manchester Metropolitan University. Her research focuses on the interactions occurring between microorganisms and inert surfaces, with applications in food hygiene, oral microbiology and the development, characterisation and evaluation of antimicrobial surfaces. In addition to research, Jo has always been committed to learning and teaching, being a National Teaching Fellow and Principal Fellow of the Higher Education Academy. She uses other disciplines such as art and literature to encourage her students and colleagues to engage with different audiences. She loves microbiology, and has developed a range of innovative and ingenious activities to encourage discussion around key issues such as disease transmission (using vampires and zombies! ), vaccination (using computer games), infectious disease (the Bad Bugs Bookclub), food production (Menus Made by Microbes) and antimicrobial resistance.